Buying your next van is a process that often requires far more thought and consideration than choosing a new car. 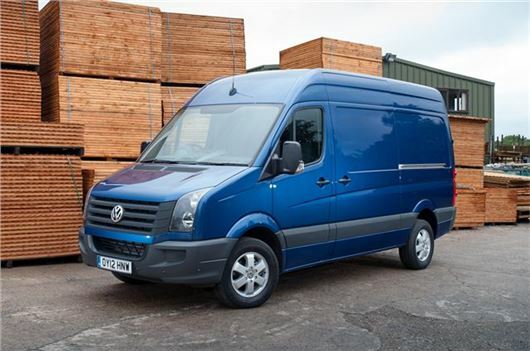 When you have to balance function and form, as well as comfort, running costs and eventual resale value, it is essential to pick the right van. Budget is the first factor that will decide whether you go new or used. Also, a new van will have a full manufacturer’s warranty and peace of mind, while a used van will be cheaper but you can never know completely how well it’s been cared for by a previous owner. Either way, the same considerations still come into effect when deciding which make and model to go for, so we’ll leave these financial considerations out of this section. However, you will have to think about other fiscal priorities such as insurance, road tax and, crucially, fuel costs. Most vans come with diesel engines, but a smaller diesel may not guarantee the best fuel economy. If you spend a lot of time covering large mileages on the motorway, you could be better of with a larger engine that has to work less hard at higher speeds. Not only will this prove more fuel efficient it will also make the drive more relaxed as you won’t be pushing the engine as hard and it will have greater performance for coping with steep hills and overtaking slower traffic. Be realistic about your needs and requirements and then factor in a little extra capacity to be on the safe side. You will also need to consider emissions as this has a big bearing on road tax and future use of the vehicle. The fewer emissions, both carbon dioxide and NOx (nitrous oxide) a van emits, the cheaper it will be run, but you will also need to think about this if you need to enter the Low Emissions Zone in London, which is only free to vans that meet EU5 emissions standards. There is now also the decision between a standard manual gearbox and either semi- or full automatic gearboxes. For economy, the manual gearbox will be best, but if you spend prolonged periods in city traffic, a semi- or full automatic could be a wise choice as it will greatly reduce driver fatigue from constantly pumping the clutch pedal. It could also help reduce service costs by reducing clutch wear if some drivers are not so delicate with the controls of a manual gearbox-equipped van. When you know what sort of power and transmission will suit, and if a new or used van will work better for you, it’s worth bearing in mind some vans are the same as others. What we mean is the same van can come with several different makers’ badges. Think of the Renault Master and Vauxhall Movano, or the Citroen Relay, Fiat Ducato and Peugeot Boxer: all fundamentally the same base van. However, you may have a good relationship with a particular dealer or there’s an attractive deal with one brand that could swing your opinion, so shop around. Whichever maker you prefer, size matters when it comes to vans. A common mistake is to underestimate how much cargo room you’ll need. It’s always best to have some capacity to spare rather than trying to squeeze everything in or risk being overloaded. Be realistic about your needs and requirements and then factor in a little extra capacity to be on the safe side. Not only will this mean you can comfortably and safely carry loads, it also means you’ll have better load security, so no long loads poking out the back door and held in places with a bit of string. You also need to consider your human cargo. Will it always just be you driving on your own or will you regularly carry a couple of workmates? Perhaps you’ll need to take whole crew with you? This will decide how many seats you need in a van and also whether a crew car is a better bet than a panel van or pick-up. With this decision sorted, you will also need to think about what sort of load you will be carrying. If it’s tools or parcels, a simple panel van will be ideal, but maybe your parcels are often very heavy and a floor with rollers in it would help slide them in and out. Also, a tail-lift might be a useful consideration for heavier cargo needs or for bulky loads. For more specialised requirements, such as a refrigerated load compartment or one with racks, you will need to know if this can be supplied by the manufacturer or if you’ll need to pay extra for a conversion. As well as specialist fittings, it’s worth checking what door configurations come as standard with your chosen van. Some have twin side-hinged rear doors, while others also come with one or two sliding side doors. What suits you best will be down to the kind of work your van is used for, but generally the more access the easier it is to use a van. Just as importantly as access is security. Most modern vans allow the user to lock the cab and load area separately, but double check this is the case with any van you’re considering. Being able to lock the cab while still having access to the load bay makes life much safer when you’re loading or unloading. It also means you can secure the load area when driving as thieves have been known to get into the back of a van when it’s stationary at traffic lights. When all of these practical points have been covered, there are still some other elements to think about when choosing your next van. For some, image will be important, so picking the right make of vehicle could have an impact on how your business is perceived. Also, colour can be important, so choosing a metallic paint finish could set you apart in the minds of your customers but more buyers will want plain white when you come to sell it on. You also need to think about comfort and equipment. Make sure you drive any potential purchase for a lengthy test drive to check out seat comfort, driving position and how easy it is to pull out of junctions and parking spaces.If any of these points niggles on the test drive, it will be a huge pain to live with day in, day out. When it comes to equipment, how luxurious your van needs to be is down to personal taste, but if you spend a lot of time in town traffic air conditioning might be a worthwhile investment. Equally, plenty of storage inside the cab is essential, while safety equipment is vital should the worst happen. Generally, the better kitted out the cab is, the more comfortable your daily working life will be. It seems like a lot to consider when choosing your next van, but common sense and a methodical approach go a long way to helping you make the choice. Take your time and your next van work perfectly for you business. Excellent introduction re vans and very informative and to the point, as ever. My quandry is now how to replace my van which is a 2009 Mercedes Vito 120 Diesel/Auto 3.0 with 200 horses. I love this van which I bought new and I have looked after her as I would a car and indeed she drives like a car. I had most of the available options fitted like cruise control, and then I fitted an excellent Pioneer sat nav stereo system too. I use the van for transporting my motorbikes and I frequently travel between the UK and Italy with one or 2 bikes on board and I cover 800 or even 1000 kms per day with very little fatigue. And zero oil consumption too!! So my problem is what can I replace her with given that almost all vans now seem to go no larger than a 2.0 or 2.2 litre diesel engine???? I LOVE the lazy and relaxed 3.0 V6 which is great for my uses and reasonable on fuel as long as I keep the revs down.